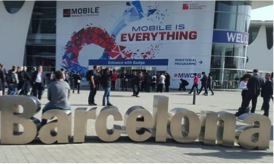 Mobile World Congress kicked off February 22 in beautiful Barcelona. At the event, the CAKE team spent four days meeting with clients, partners, media representatives and prospects. This year our booth was located in the App Planet Exhibition where we featured our robust mobile-tracking capabilities. 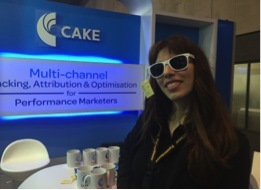 We had a variety of individuals stopping by our booth to learn more about CAKE and discuss trends in digital marketing, but they couldn’t resist our giveaway items, which included CAKE sunglasses. 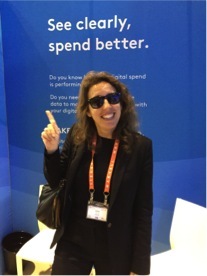 Our time at Mobile World Congress was filled with back-to-back meetings, evening networking events and client catch-ups. We also had the opportunity to touch base with many of our partners, including Dialogtech for a night of tapas in the heart of Barcelona. 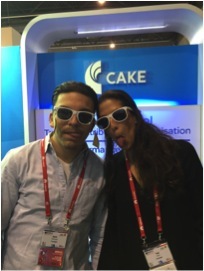 Overall, Mobile World Congress was a huge success for CAKE and further highlighted our position as an innovator in the digital and mobile marketing space. Team CAKE would like to thank everyone who stopped by to our booth during the event. We look forward to seeing you next year!